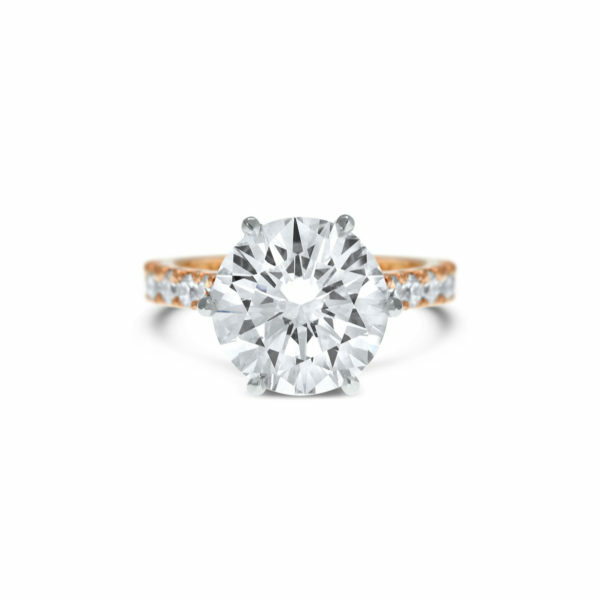 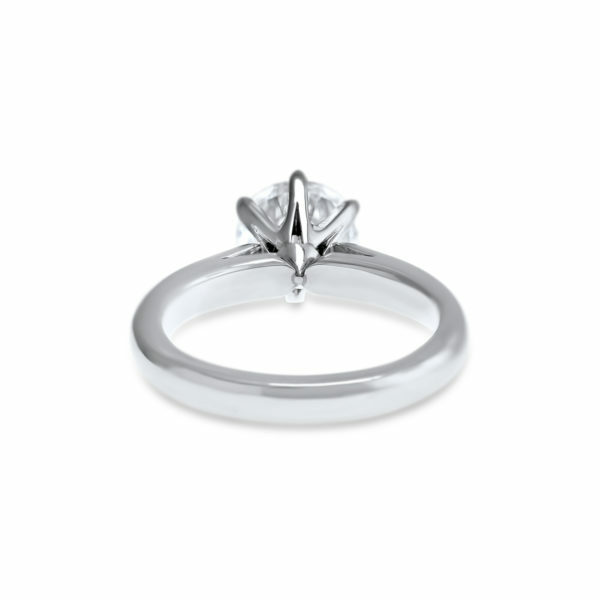 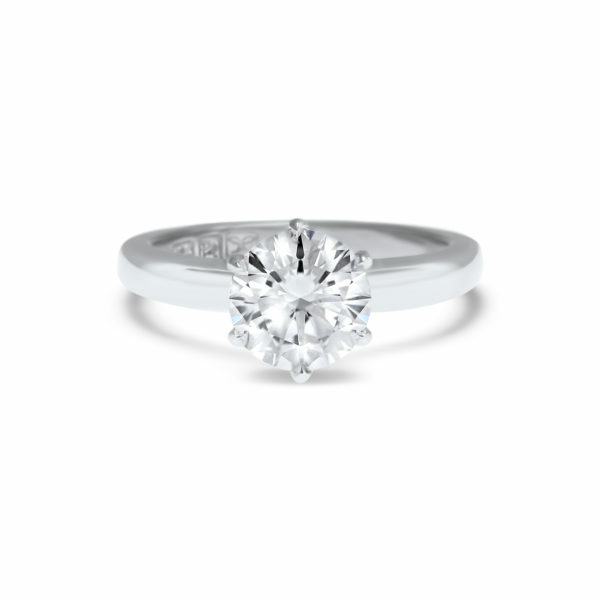 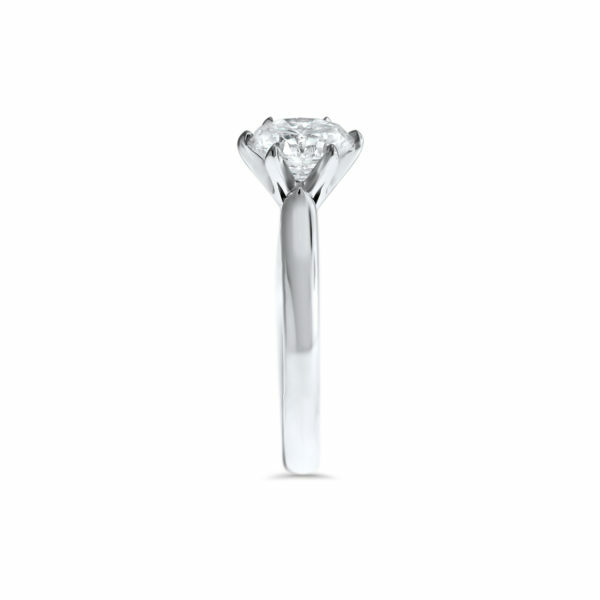 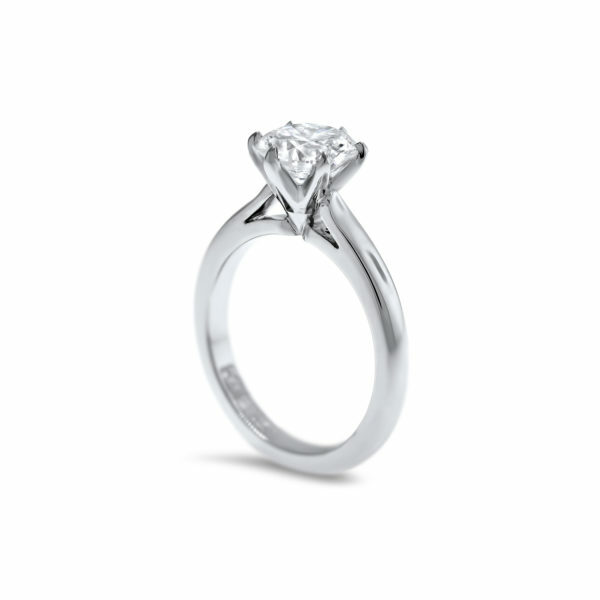 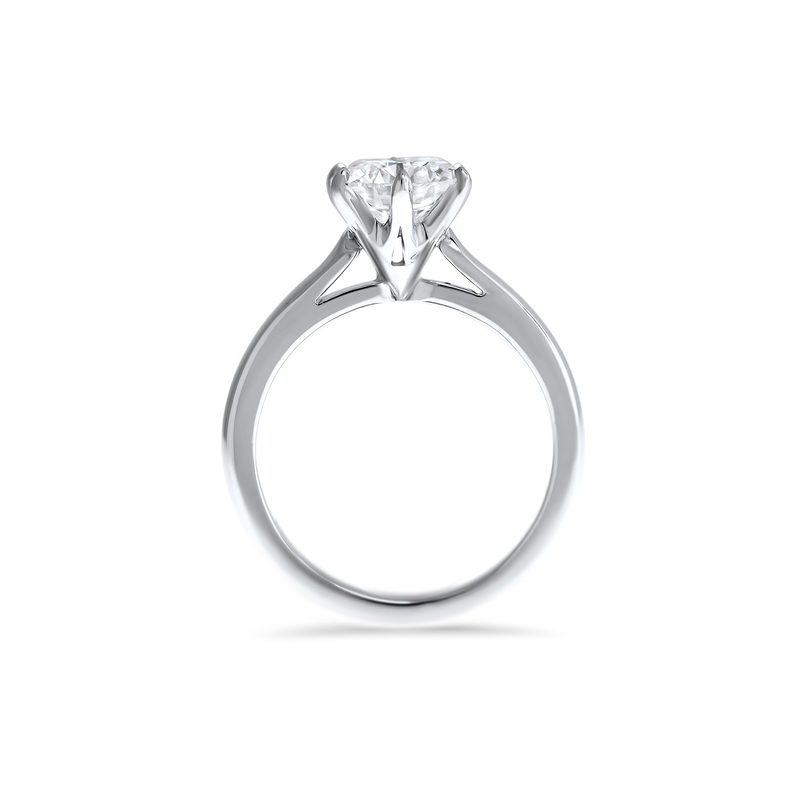 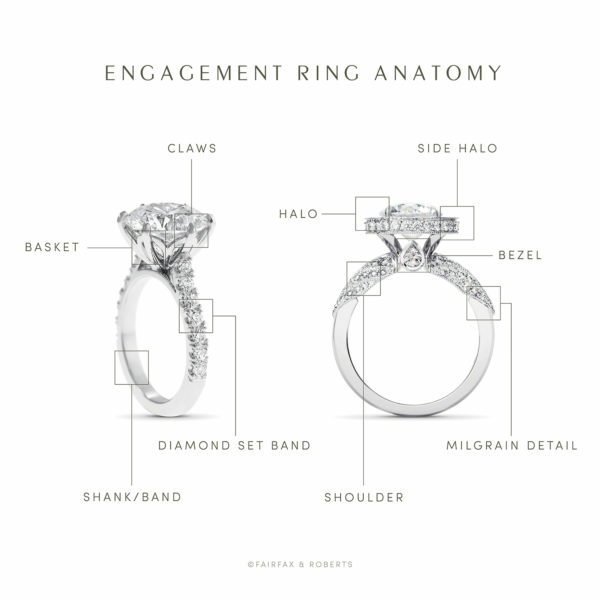 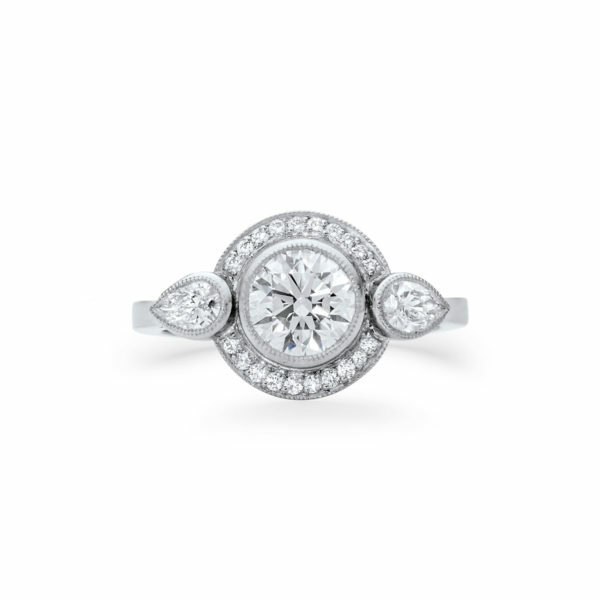 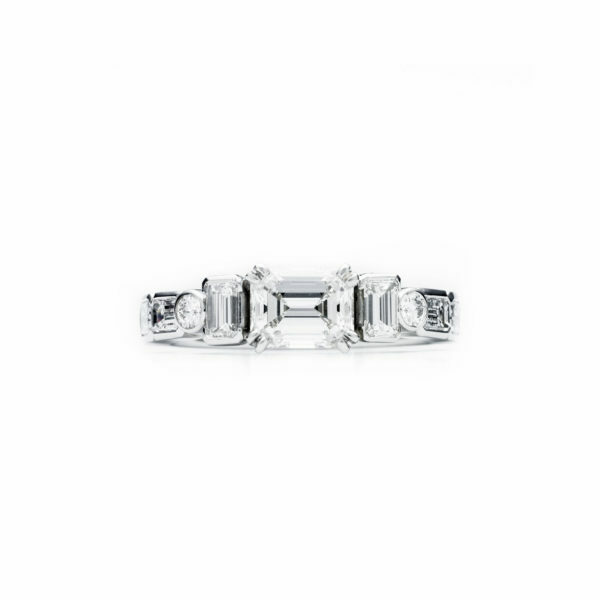 A round brilliant cut solitaire engagement ring featuring a sculptured six claw setting supporting a round brilliant cut diamond elegantly mounted on an upswept, soft round band. 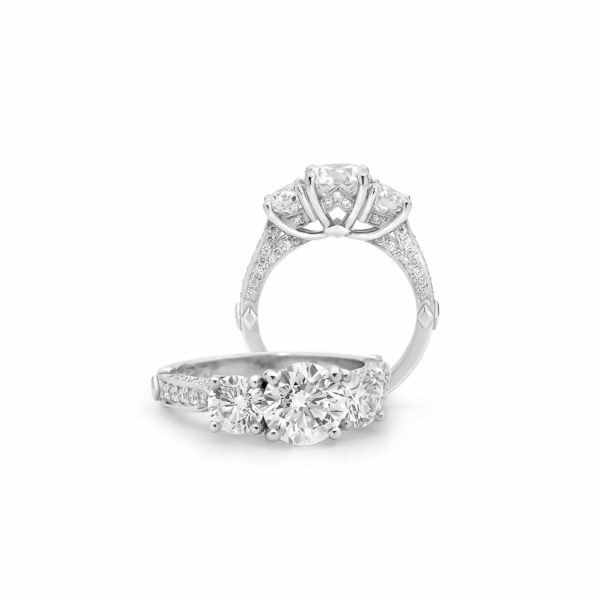 Classic and timeless. 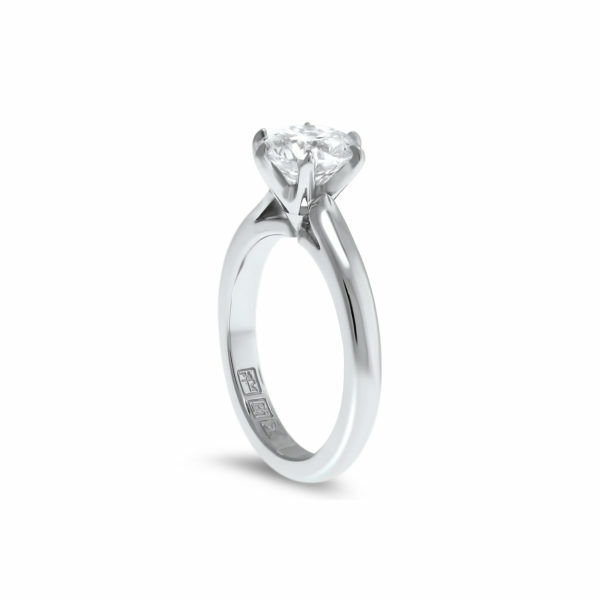 Available in platinum, 18K white, rose or yellow gold or any precious metal combination.